I love transforming brides-to-be. For your wedding I’ll work with you to make sure that the finished result is exactly how you imagined it to be. I am happy to introduce an excellent bridal hairstylist who is a member of the K-Team – Kasia. As soon as I first laid eyes on her work I felt she had something special and we have now worked on many bridal clients together. “My name is Kasia and I am a bridal hairstylist. I am The 2014 Wedding Industry Awards Region Finalist for London and the South East and was shortlisted for the hitched.co.uk Breakthrough Awards 2013. I have trained extensively in the UK with world-renowned hairstylists and constantly strive to perfect my craft. I have a passion for creating unique and beautiful hair-styles that make my brides look stunning. My journey in hairstyling has led to my work appearing in many photoshoots, catwalk shows, TV programmes, bridal and fashion magazines. Hairstyling is a fantastic adventure and one that enables me to travel nationally and internationally working on brides as well as fashion shows, campaigns and television with couture designers. Working in the wedding and fashion industries I have developed and continue to maintain my craftsmanship at the very highest level. Being in both industries makes me unique – I am able to design hair that is modern and sophisticated and yet beautifully classic. I constantly keep up to date with all the latest trends in fashion. My expertise and speciality lie in working with a huge variety of hair types, textures, and lengths – using the right products and real hair extensions if needed. I understand and am able to advise and make recommendations on which hairstyles will flatter different face shapes and how each one translates into a bride’s chosen personal and wedding style. I am confident in creating long-lasting, beautifully executed styles – be it a perfect red-carpet-worthy Hollywood wave, modern up-do, boho styles with cool waves and braids or fashionable messy buns. I am able to offer a huge variety of skilfully crafted hairstyles to suit my discerning brides. Hairstyling for weddings is so much more than picking up a brush, comb, hair-dryer and tongs. For me, it’s about getting to know you, your likes and who you really are. It’s more than just giving you the look of the moment, it’s about assessing the shape of your face, your hair type and talking to you about your interests and style so that we create something that is truly you. Kasia was chosen from thousands of hopefuls to participate in an on-line talent program led by hair icon Sam McKnight. 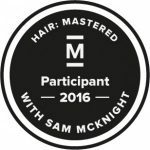 The aim of the program was for Sam and his team to find and develop the most passionate and fearless hair professionals working today. Kasia fits that bill perfectly. Please get in touch using this Contact link and let Kasia know your hairstyling requirements or to book an appointment. * For single bride bookings a supplement of £80 will be added at peak times (excluding Saturdays) and £20 for all off-peak times. Hair trials and occasion bookings include 2-3 professional portrait photographs of you with your beautiful new look. 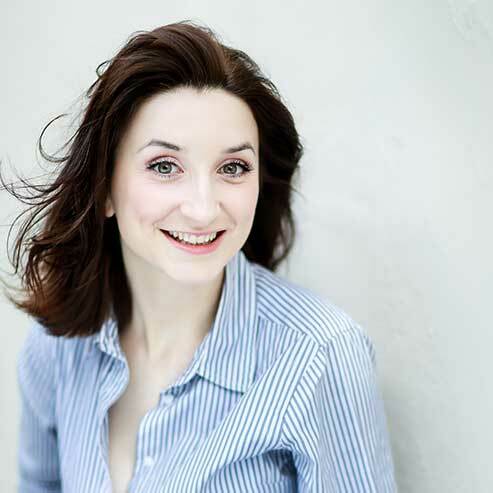 Click here to check out some of Kasia’s testimonials.